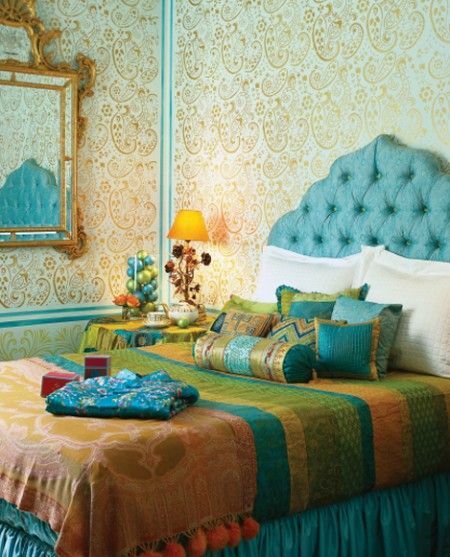 This Indian inspired bedroom glows with magnificently rich colour and texture with silk bedding and copious amounts of throw cushions with varying pattern. The opulent headboard and matching bed skirt balance great with the regal looking gold mirror. 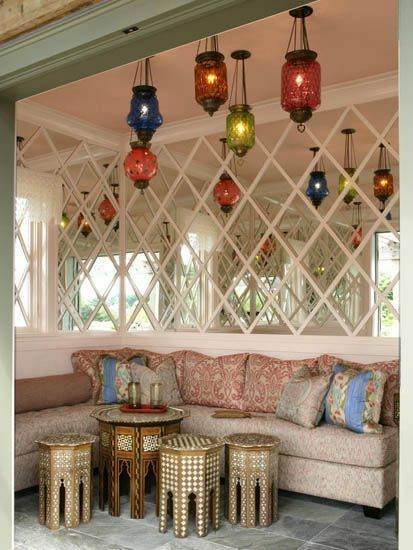 Your condo or house bedroom will be a welcoming refuge with this decor, inviting you to perhaps lounge all day in those Indian silk pyjamas! 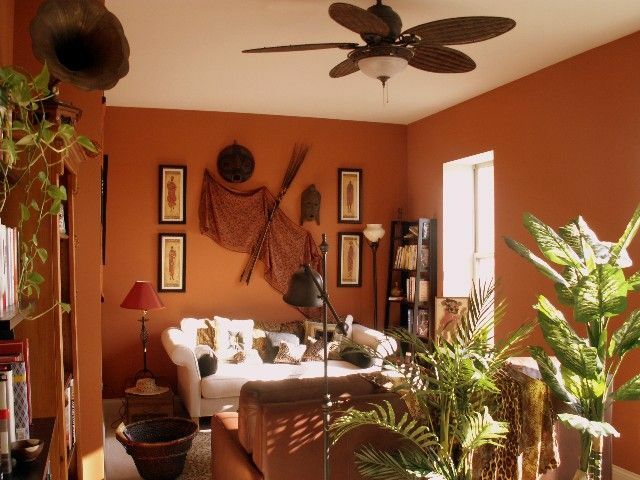 This African inspired living room brings tribal masks and accessories against a rich copper wall colour. If your new condo living room gets plenty of light allowing your green thumb to flourish, bring in the plants and accessorize with these great animal print toss cushions and throw. 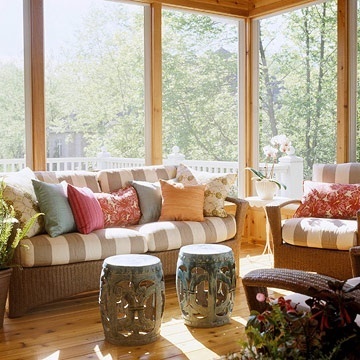 Global decorating doesn’t always have to be completely blatant, sometimes subtlety can go a long way like in this new house sunroom. Contemporary wicker furnishings paired with these Asian inspired garden stools make for an interesting coffee table alternative or backup seating option. 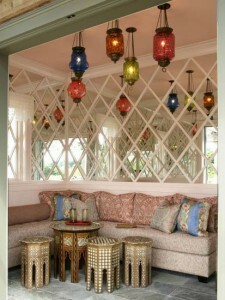 If your new house or condo has a small nook area and you enjoy entertaining, why not try dedicating that to some banquette style seating and decorating with bold Moroccan lanterns and occasional tables? Even if you’re just having some company over for tea to your house or condo, what a cute statement area! For more great decorating ideas and inspiration, be sure to visit the Mosaik Homes Facebook Page!